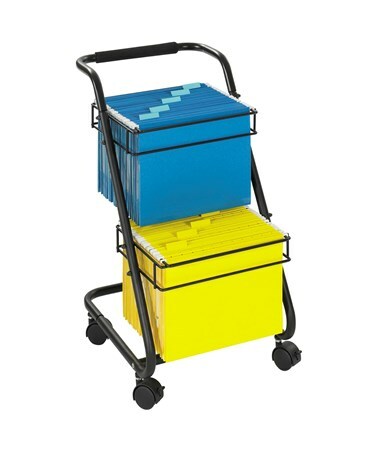 The Safco Jazz Two-Tier File Cart is the perfect tool to neatly organize documents while keeping them it close at hand. It has a compact build that allows it to slide next to a desk, print station, or workstation and save room space. 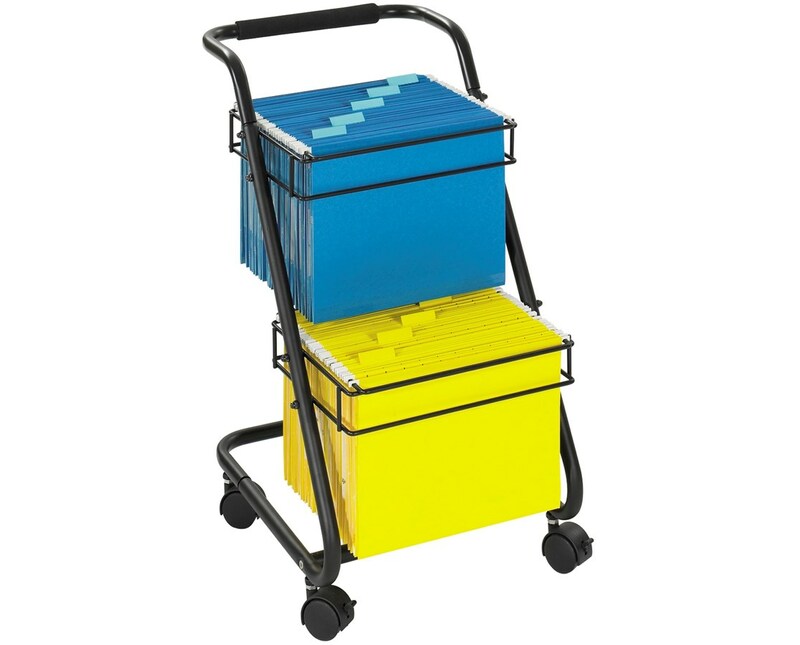 It features two tiers of active file compartments that can hold letter-size folders and has a weight capacity of 60 pounds. Four swivel casters allow smooth mobility two of these casters can be locked to keep it in place. Maneuverability and control of the cart are made easy with the padded steel handle. 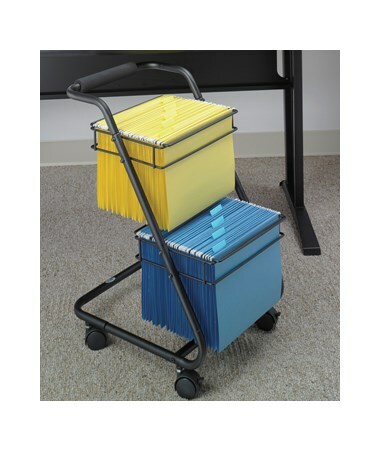 This economical mobile file is made of steel with a tubular frame and a powder coat finish. It is also GREENGUARD certified for low chemical emissions and indoor use safety. Please Note: Folders are not included.